There are many coffee lovers who love to have coffee anytime. During Summers ,the heat is so unbearable that you can neither have hot coffee nor live without having coffee. I made this milkshake for my family and now it is a hit with them especially in summer. 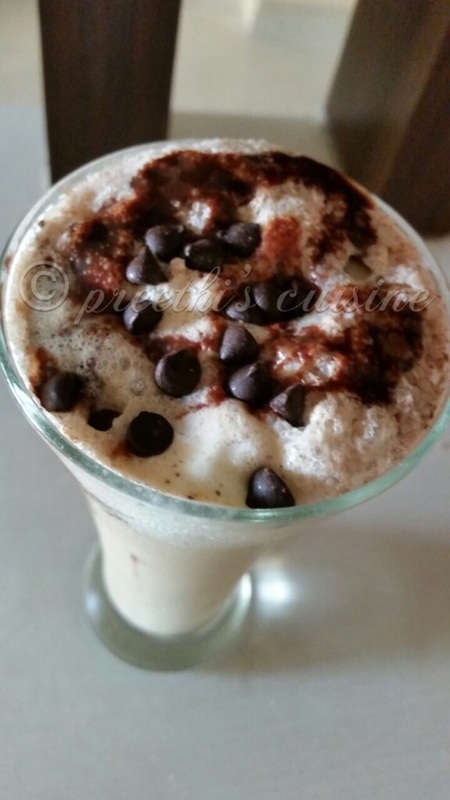 So here I am sharing an easy awesome chilled filter coffee Milkshake . Blend the above in a blender to get a nice frothy mixture. 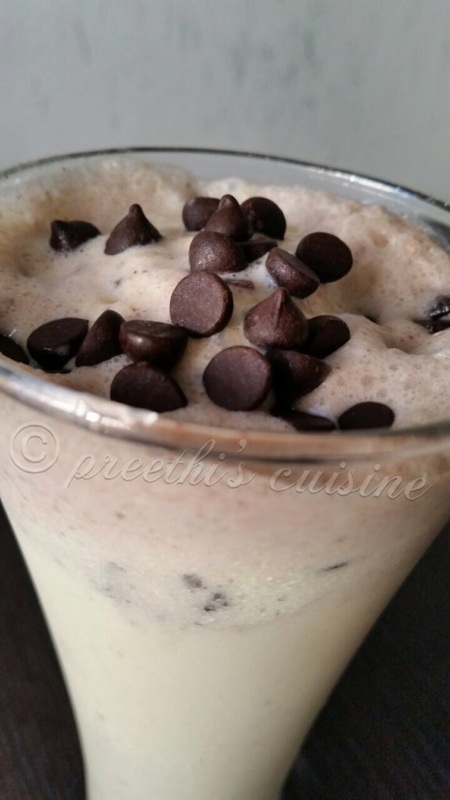 Take a glass.Add a scoop of icecream.Pour the blended mixture into the glass.Pour some choco syrup and sprinkle some choco chips.Enjoy Chilled Filter coffee milkshake.